Today, the lumber schooner C.A. Thayer returned to its home at Hyde Street Pier from restoration work that was done in Alameda. We’ve missed seeing the old girl, even though she’s been without rigging or masts for many years. 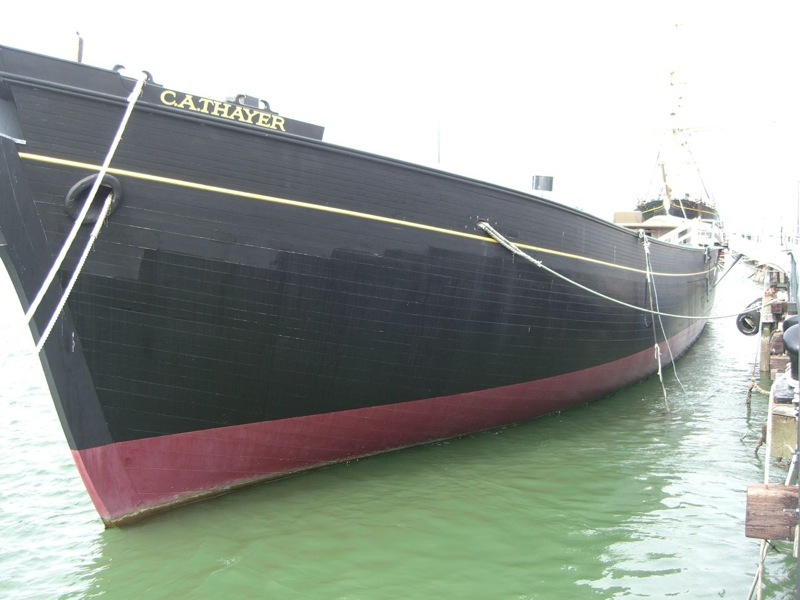 CA Thayer after her initial restoration work, still lacked masts, rigging and more for years. But now, she’s got masts, bowsprit and standing rigging. Looks like they’ll be finishing up the rigging, and hopefully the rest of the deck house construction and furnishings, alongside the pier over the coming months. And don’t forget there’s a talk on the C.A. 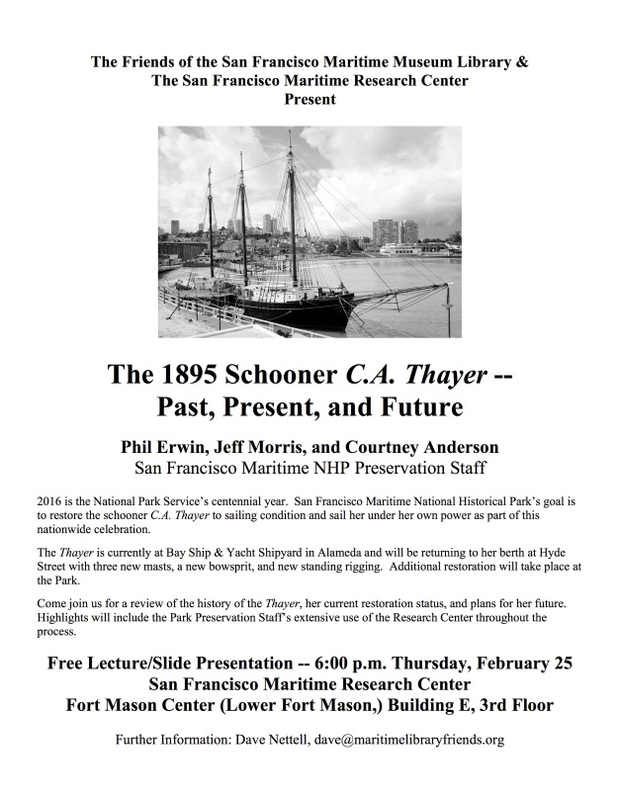 Thayer this Thursday evening at 6pm at the San Francisco Maritime Research Center in Lower Fort Mason. This entry was posted in Hyde Street Pier, Maritime Museums, News and tagged C.A. Thayer, Lumber Schooner, Restoration by catopower. Bookmark the permalink.